Dramatically impact the look and feel of a room by understanding the light control and privacy to get the perfect shades. Fabric, depth of color, and number of cells all contribute to how much a shade controls light and privacy. 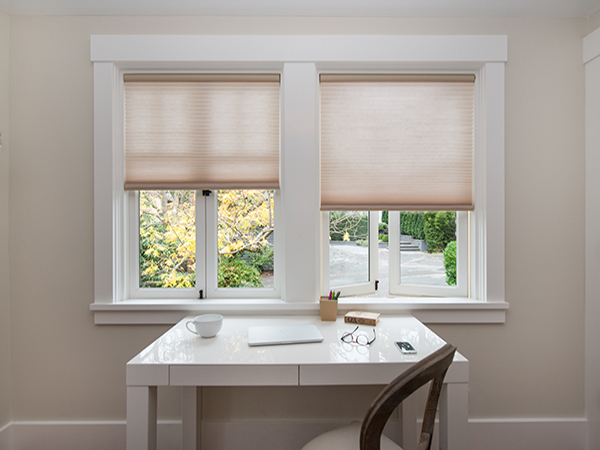 Our glare reducing shades provide daytime privacy. Our light filtering fabrics softly filter light and provide full daytime and moderate nighttime privacy. 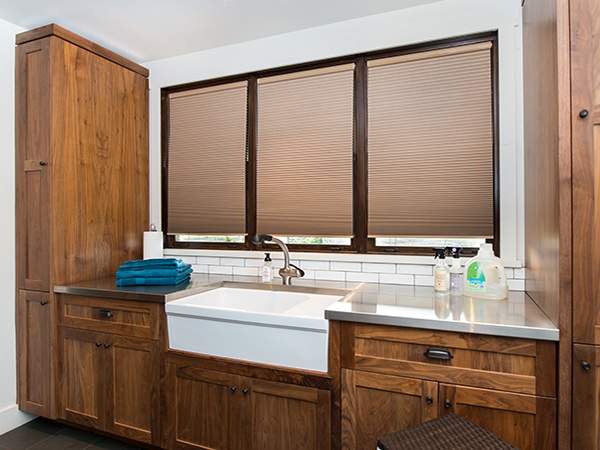 Our blackout shades block nearly 99% of light and provide maximum privacy day or night. 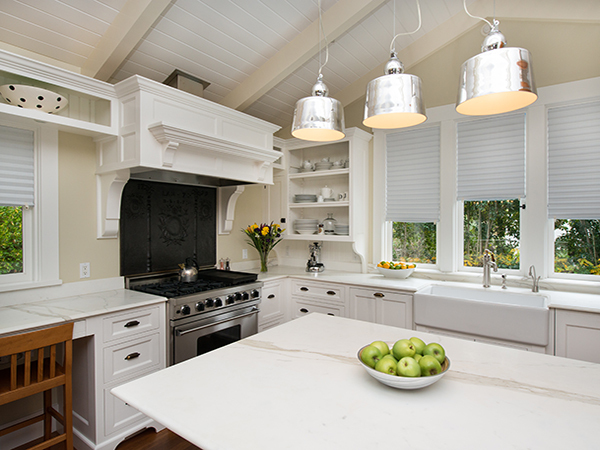 Enjoy plenty of natural light while cutting glare on walls and floors. Ideal for social spaces like living rooms, dining rooms, kitchens, and offices. These shades offer great light while blocking harsh sunlight and glare, and reducing heat and harmful UV rays. Diffuse natural light to preserve the bright warmth of an open window, while maintaining moderate privacy. Light filtering shades are a terrific multi-purpose solution for virtually any room in your home providing UV protection and glare reduction. Achieve the next level of light control, privacy, UV protection, and heat and glare reduction with light blocking shades. 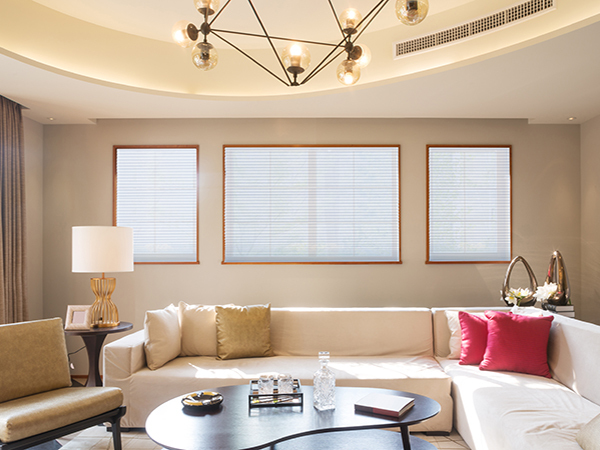 Light blocking shades feature an exclusive composite fabric with heat reflective layer for light blocking and enhanced privacy for rooms that get more sun. Dim a room and reduce nighttime shadowing while block a majority of light, creating privacy, and providing UV and glare control. These shades work well in bedrooms and children’s rooms. Block light and create maximum privacy. 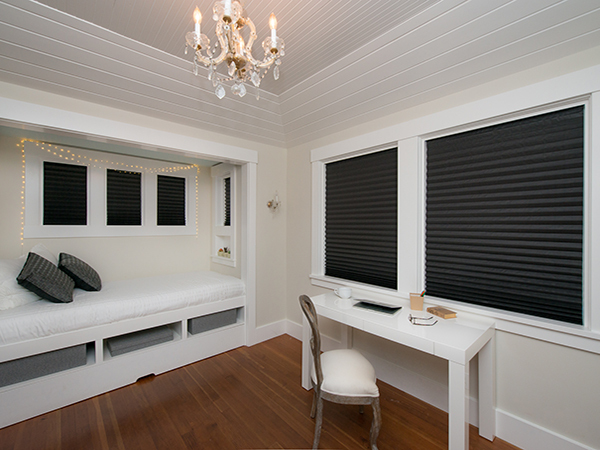 Blackout shades are constructed with an inner cell liner that blocks 99% of all exterior light. A great solution for bedrooms, children’s rooms, movie rooms or for creating a quiet, tranquil space.